ESS Big Data Event – Final Report online! The ESS Big Data Event, took place in Rome on 31 March-01 April 2014. The Event was organised by Eurostat with the support of a project consortium headed by DevStat. 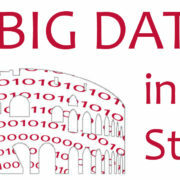 The final report of the Event: ESS Big Data Event Rome 2014, has now been published online. Please, visit http://www.cros-portal.eu/content/2014-big-data-event-final-report to download the document. https://devstat.com/devstat/wp-content/uploads/2014/03/DevStat_ESS-Big-Data_2014.jpg 685 1800 admin https://devstat.com/devstat/wp-content/uploads/2016/11/Logo_Landscape_DevStat_HD-300x74.png admin2014-09-22 09:10:062016-11-16 16:05:48ESS Big Data Event - Final Report online! Following its process of development, DevStat enlarges its team with a new senior manager as of 1st September. 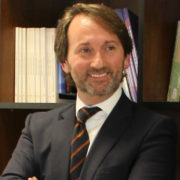 Santiago Abril (MSc in Economics) has joined DevStat as Director-General, closely working with José Cervera (CEO) and José Vila (Scientific Director) in the daily management of the company. With previous experience in multinational companies, Santiago (sabril@devstat.com) will contribute to the consolidation of DevStat as a major player in the international statistical consultancy market.